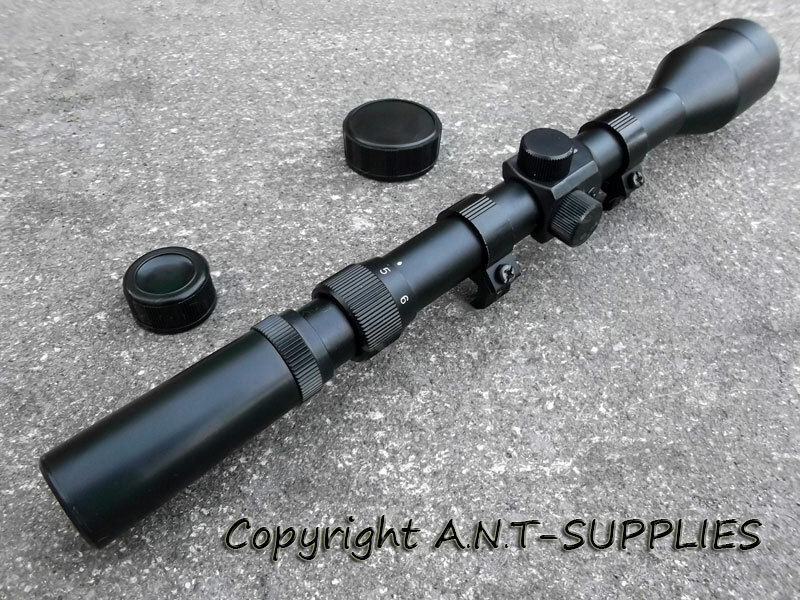 Suitable for Co2 rifles, airsoft guns and budget air rifles. the Optics / Scopes / Sights main page. 3-7 x magnification with 28mm lenses. 11½ inches / 290mm long. With 9.5-11.5mm dovetail rail mounts. Aluminium body and fittings, with plastic turret housing and eyepiece end. Fast focus eyebell with locking ring for crosshair focusing. 3/4 inch / 18mm diameter one piece black body tube. Magenta multi-coating on both the objective and ocular lenses allows for increased light transmission for bright clear images. Adjustable windage and elevation turrets. Push-on black plastic lens caps included. 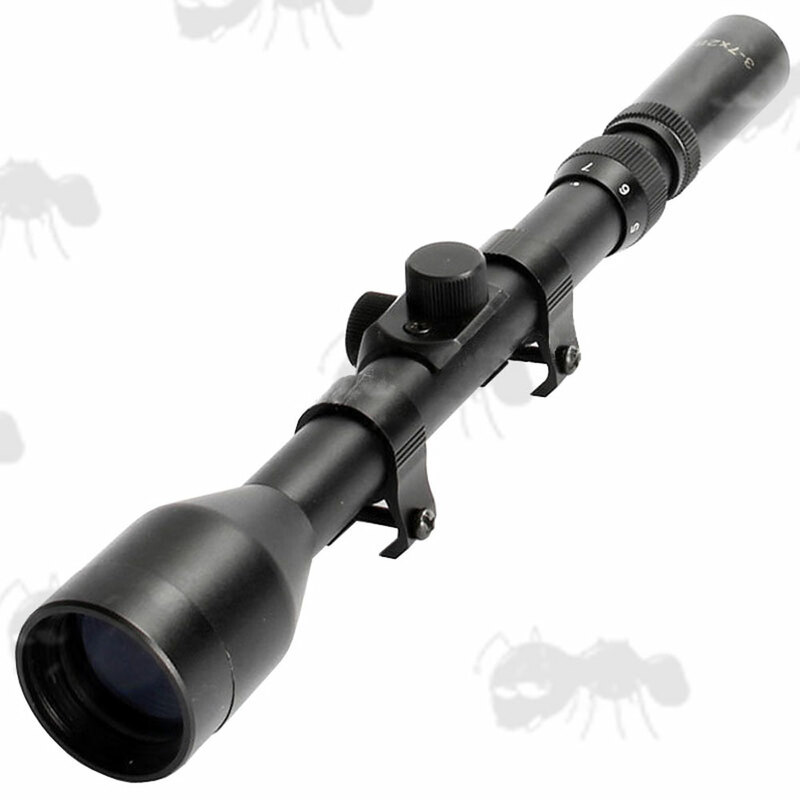 Can be fitted with weaver / picatinny rail mounts but you would need to dismantle the scope to remove the dovetail mounts that are already fitted as they need to slide off. Link to our vertical split weaver / picatinny rail scope mounts. Weaver / picatinny rail to dovetail adapters. The 30/30 reticle can be used to measure distance. The fine centre crosshairs represents 30 inches at 100 yards with the 4 times magnification. So if the target fills half that area it is at 200 yards away and if it fills twice the area that's 50 yards. The thick reticle posts allow the cross hairs to show much clearer against dark targets. eyebell anti-clockwise until the reticle is completely out of focus. Then slowly turn it clockwise until the reticle is sharply in focus, using an all white target. Then finally tighten the locking ring.